GAU in German means "the worst imaginable disaster" - an abbreviation of größter anzunehmender Unfall. The bombing of Hamburg makes a historical resonance for the work GAU - but different generations and different people each have their fears and their disasters. The exhibition space Sydhavn Station was invited to participate at the exhibition Copenhagen in Hamburg. 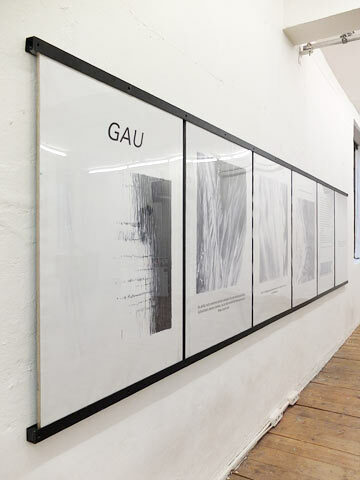 Anne Skole Overgaard went there to represent Sydhavn Station and she showed the work GAU in a DSB posterholder, like the ones used for exhibitions at Sydhavn Station. The exhibition was part of an exchange project between artist run exhibition spaces in Copenhagen and Hamburg.